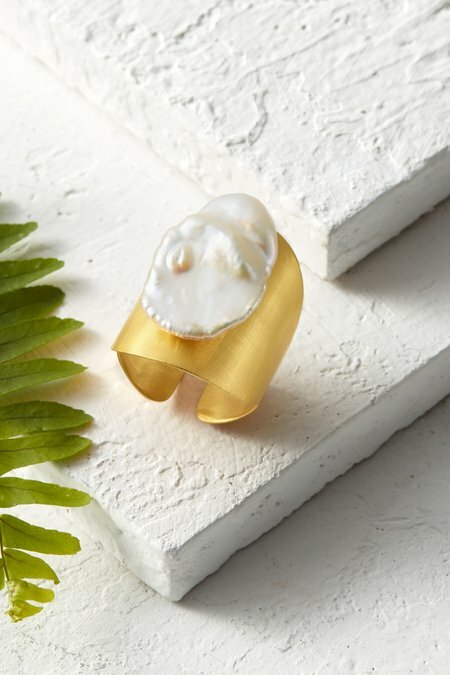 Prized for its natural shape and luminescent radiance, a keshi pearl graces this goldtone ring. Specially created by Nature, each pearl - and each ring - is unduplicated. Stunning worn alone or mixed with others for impact.